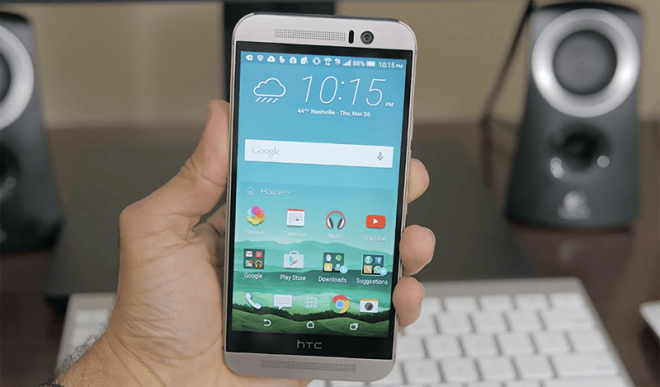 T-Mobile is now pushing out updates to its HTC 10 and HTC One M9. 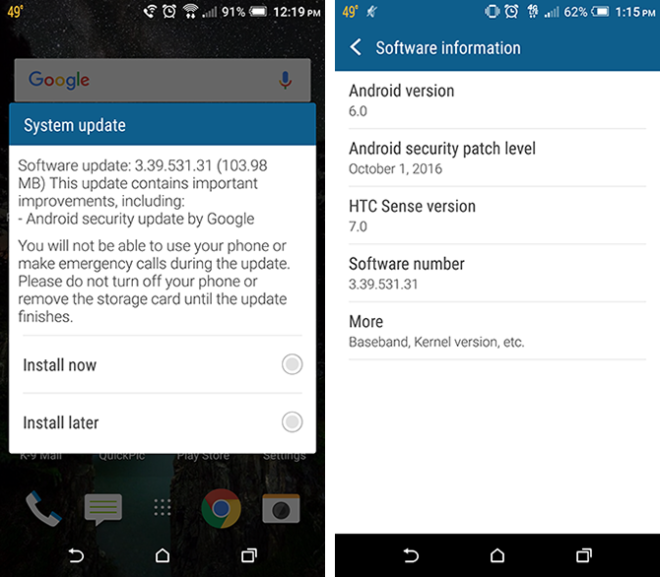 TmoNews reader Kevin received the update on his One M9 today, and after updating, his phone was on the October 1 Android security patch live. If you’ve got an HTC 10 or HTC One M9 and you haven’t yet gotten your update, you can go into Settings > About > Software update > Check Now to check for your update manually. tmo pushing? last time I had problems with a tmo s/w update, tmo blame the manufacturer or even google they sugested. and refuse to correct the problem. why tmo force devices to updates? i know that, but why the annoying reminder? thats my problema, and yea, i have disable for notifications. Yep. Right on schedule. After the last security update hit I RUU’d back to stock to take it and decided to hold off on rooting again for a bit. I’ll probably leave it for now – Nougat should be coming for the 10 Real Soon Now™ anyway. The HTC 10 got the September update (in September) as well. The fact that T-Mobile is not selling the HTC 10 anymore is puzzling to say the least: overall, the HTC 10 is the best phone on the market.